2014 Software Symposium — Registration ends tomorrow! The 2013 Software Symposium was a huge success, so we have brought it back again this year! Save time by learning about 9 companies (listed to the right) in one place, instead of spending endless hours comparing companies on your own. This opportunity does not come often! Even if your organization is not currently looking for new technology, save time and money now by taking a close look at software packages that might work for your agency in the future. Check out the new schedule and register! Registration ends on Friday, May 23 at 4:00 p.m..
After ten years in Cheney, Paul Simmons returned to the west side last November, taking the Director position with the City of Olympia Parks, Arts and Recreation Department. Paul is excited to be in Olympia with his wife Amy and their new baby girl, Lucy, expected in August. Olympia also welcomes Gary Franks as their new Parks Maintenance Manager. Gary moves over from Olympia's water utility and is thrilled to be a part of the parks team. When you meet Gary, ask him about his path to parks dating back to his first seasonal hire. Joanna Martin (formally Puthoff) has been promoted to the City of Sammamish's Recreation Supervisor. Her new email address is jmartin@sammamish.us. WRPA has brought back "On the Move," a weekly update on our members. We would like to hear about new and exciting changes that are happening in your professional life. Are you working in a new city? Have you been promoted? Have you retired or have you graduated from school? Let us share these updates with the rest of the association! Pictures are always encouraged, so send them along with your updates to wrpa@wrpatoday.org. 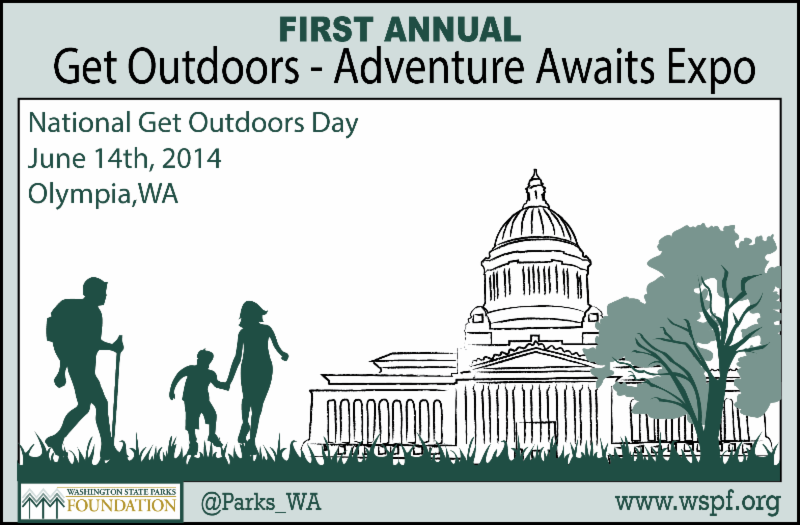 The first annual Get Outdoors — Adventure Awaits Expo, will be held on the Capitol grounds in Olympia on Saturday, June 14. Mayors and governors across the nation are recognizing the month of June as Great Outdoors Month, with several special events being held simultaneously on June 14, National Get Outdoors Day. The Cowlitz Indian Tribe is proposing a more historically accurate name for Lewis and Clark State Park in South Lewis County. As it turns out, Meriwether Lewis and William Clark never set foot in the area during their well-recorded expedition. Philip Harju, vice chairman of the Cowlitz Tribe, said the tribe is petitioning the state to change the park's name to "Cowlitz Trail State Park." In many parts of the country, abandoned train tracks have been repurposed into multi-use exercise trails. The best of them — a little more than two dozen routes in all — are in the Rail-to-Trails Conservancy Hall of Fame, and several of those are located in the northwest region of the United States, in Idaho, Montana, Oregon and Washington. The Port of Everett plans to dedicate its historical interpretative displays that line the waterfront's four miles of trails. The exhibits, installed in February, explore Everett's history of lumber and shingle, commercial fishing and boat building industries on the waterfront. The interpretive program is intended to bring local residents and tourists down to the waterfront to learn about the history of the site, while also providing an ongoing educational element.